I took the first shot on a work lunch break walk the week before I went on a vacation. I took the rest of the shots from the road on the way to and back from a trip to the southern end of the NC mountain range. 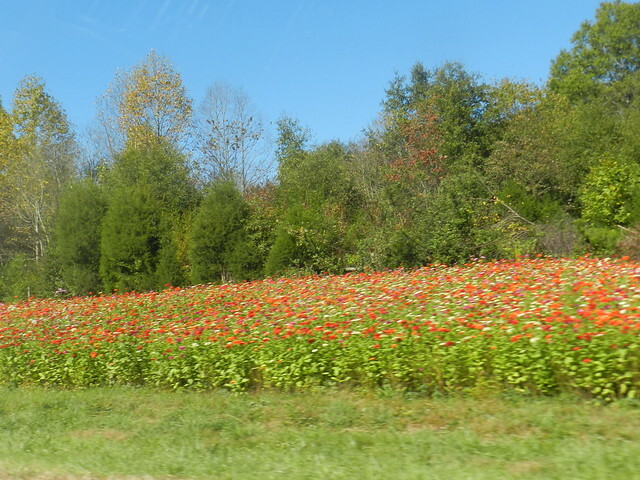 I live in the central part of NC and we saw a lot of highway flowers. I didn't see any wildflowers during our hikes. I know the shot above isn't of flowers but it is as colorful as when trees have spring flowers. Thank you Carver, these are super photos. 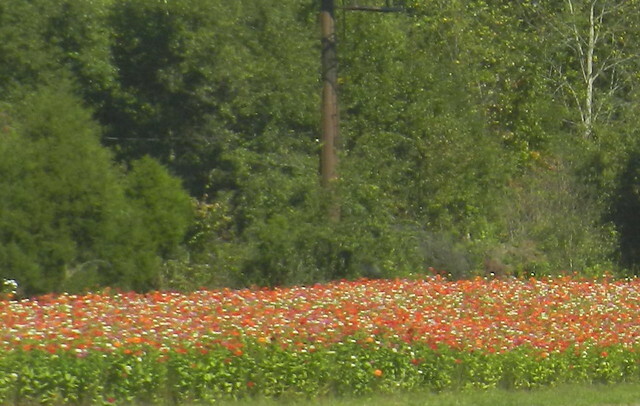 I love to see the flowers on the sides of the roads when out driving. They add pleasure to any journey. 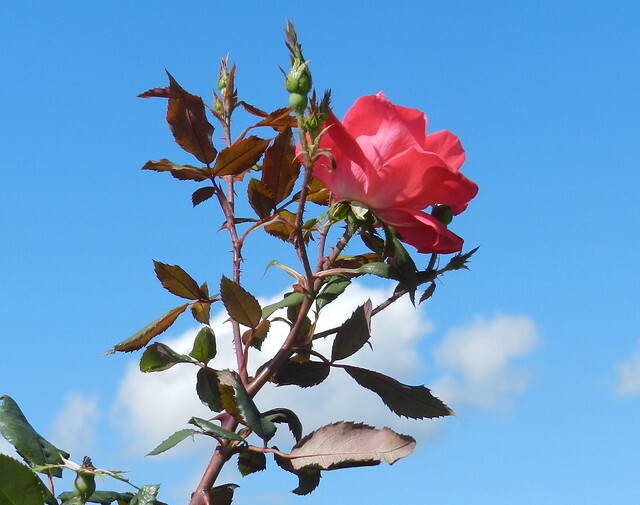 The rose is very pretty against the blue sky. 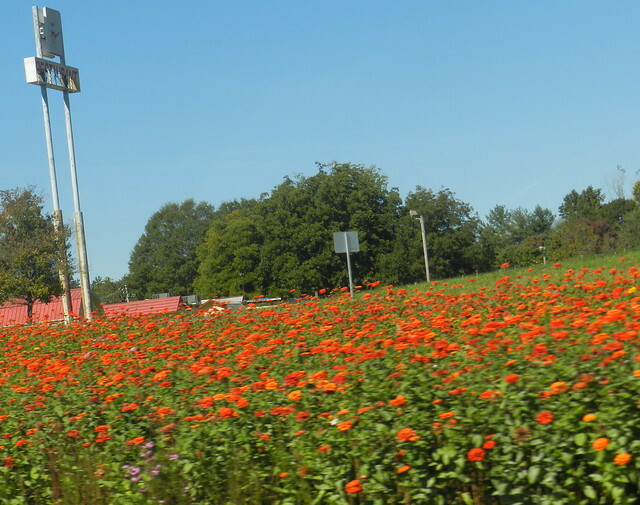 The roadside flowers are wonderful ... That says a lot for a State that they take time to make things beautiful. The rose against the blue blue sky is la gift! It's great to see the colorful roadside flowers, not something I would see here. 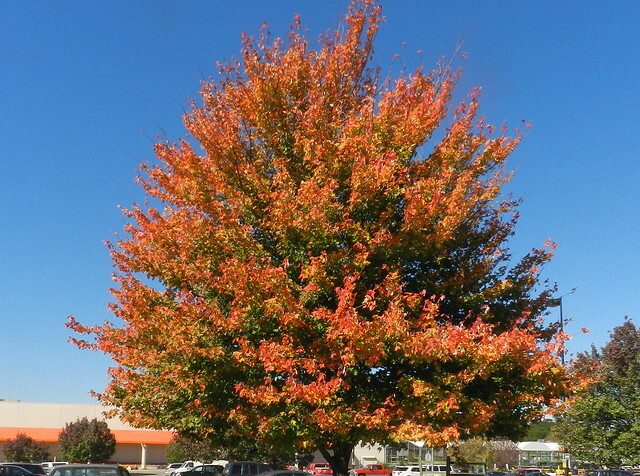 The tree color is great too, leaves are just starting to color here. The rose is simply beautiful! !